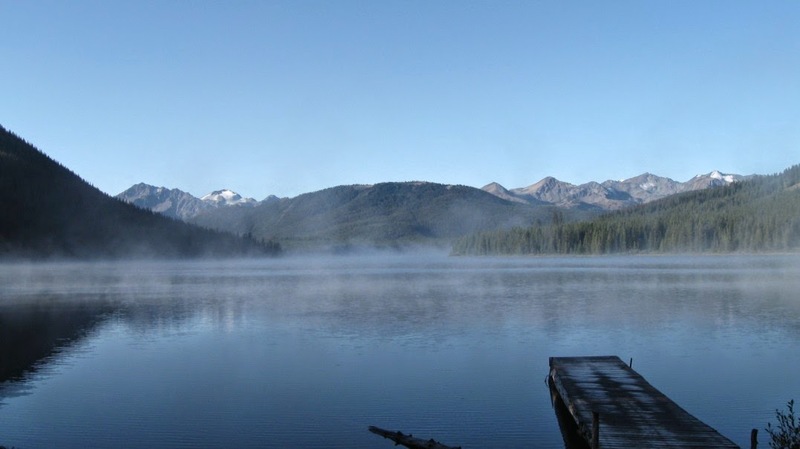 At Chilcotin Holidays, you can rent mountain cabin/camp for those capable of having a self-guided and self catered hiking in Canada wilderness adventure. We support adventurous wilderness explorer by facilitating them with unique camp locations, trailhead drop offs, pick-ups and with a guided hike, pack horses to take supplies to camp. Rent one of our eight mountain cabins, year round, throughout the South Chilcotin Mountains. Leckie Creek: This camp is ideal for early season wilderness trips to see the spring migration of mountain goats, grizzly, mule deer and moose. It is also a perfect location for winter wilderness ski trips. Spruce Lake: This Camp is the perfect setting to view the areas early season alpine flowers and I situated near some ancient fossil beds. A great base for hiking and fishing! You'll savor a hearty meal at camp, prepared by your guides and camp host. Liza Creek: Beautifully situated for Hut to Hut hiking between our Brett and Grizzly Lake camps or as a hideaway for wildlife viewing. Brett Camp: This camp is amidst fields of wildflowers with plenty of wildlife, e.g. Grizzly Bears and bighorn sheep. Grizzly lake: This camp features dramatic scree slopes, grizzly bear sightings, and magnificent wildflower meadows. McGillivray: Ideally situated to explore high alpine grasslands and wildflowers. You'll marvel at the glaciers and have to be prepared with your camera for grizzly bears and mountain goats that are frequently sighted in the area. Tyax Creek: This camp is known for the wildlife frequenting the area, mineral springs, and hundreds of alpine basins. Big Creek: This camp is the divine between Chilcotin Mountain Range and the plateau with dramatic landscapes. All mountain cabins have basic kitchen equipment. A lot of bunks with foam mattresses on the upper floor provide comfortable sleeping quarters with summer tents located around the cabin. Cabin Rental prices are based on nightly rental per four people. Extra people can be added. Pack horses to carry your gear, equipment and food supplies. We are looking forward to sharing the mountain with you on your hiking in Canada trip. The Chilcotin Holidays Guest RanchTeam.